Tim’s total salary comprised of a base salary of $3 Mn, a $12 Mn bonus and $680,000 in what it called "other compensation" that includes private air travel and security expenses. 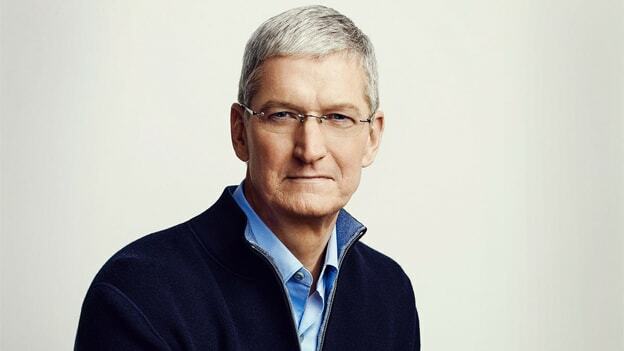 Apple’s chief executive Tim Cook received a hefty 22% pay raise in 2018, bringing his total compensation for the year to almost $15.7 Mn million as per a filing submitted to the Securities and Exchange Commission. "For 2018... we achieved net sales of $265.6 Bn and operating income of $70.9 Bn, each representing a year-over-year increase of 16%, and exceeding the 2018 maximum annual cash incentive program goals for both of those performance measures," the document stated. "The Compensation Committee determined that no downward adjustments to the payouts would be made based on Apple's 2018 performance and the individual contributions of our named executive officers and approved the maximum total payout at 400% of annual base salary." This is the second consecutive year that Tim has received a major pay raise. In 2017, he received $12.8 Mn while in 2016 he made $8.7 Mn. Incidentally, the news came a week after Apple cut its revenue outlook for the latest quarter, on account of steeper-than-expected "economic deceleration" in China and emerging markets. The weakened forecast was construed by some investors as a sign of the company lacking a major new gadget after the iPhone, a device that has been criticized for being priced too high. As a result, shares of Apple sank 10% in the first session after the announcement. So while 2018 was yet another good year for Cook as far as the salary hike is concerned, the year might not be so favorable for the tech giant given it had to cut its revenue outlook for the first time in almost two decades due to slowing demand in China, its biggest market.